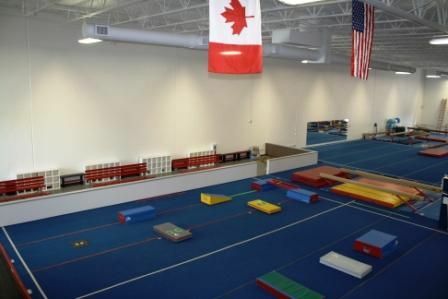 Our new facility is 20,000 sq. 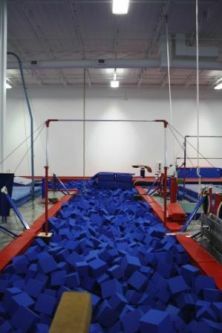 ft. and is designed to offer children of all ages from the Tiny Tot to the competitive athlete the safety and equipment they need to be successful. Our parents love our large open viewing area which allows them to see and hear everything that is happening in the class. Turn right on Sports Village Road- we are located on the right.